Get the most you can out of volunteering with Oyster by giving that little extra! Become attached to the kids in Tanzania! Bethan Crisp, a recently returned Oyster volunteer, has formed a special bond with the people of her placement village in Tanzania. She spent 10 months as a childcare volunteer and her experience was life-changing as she became dedicated to going above and beyond what she originally signed up for! Keep these adorable kids smiling by volunteering with Oyster in Tanzania and donating to this exciting project! Today, Oyster financially contributed to this project and you can too by donating as much or as little as you like to Project Maji. 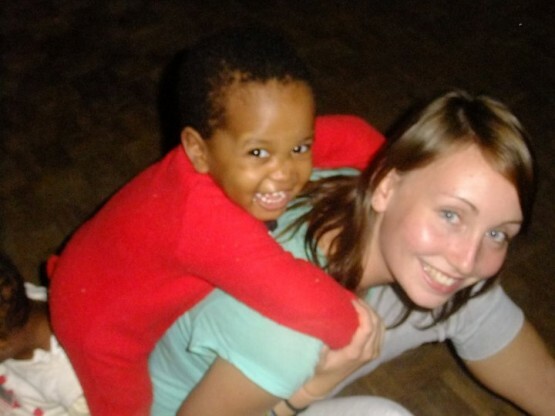 If you fancy getting involved in orphanage work, Oyster has loads of volunteering opportunities with projects not only in Tanzania but also in Brazil, Nepal and Romania. Volunteer from just one month up to 6 months with Oyster – or extend your stay to make an even greater contribution, like Bethan! With all our projects we offer full support both in the UK and abroad, we also organise everything from your accommodation, to in-country activities, right through to your flights! All you need is a love of kids and the enthusiasm to really make a difference! If you want to get involved in a childcare project in Tanzania and see this project develop for yourself, or to help out in another exciting country, visit our website or get in touch with Jon at [email protected]. Previous Post Want a last-minute gap year? Oyster makes it possible! 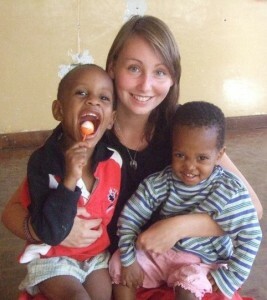 We are all really pleased that Bethan had such an amazing time in Tanzania on the Oyster program. It is clear that Bethan worked extremely hard to make the most of her time and it is great to see that she is continuing to raise funds for the orphanage – keep up the good work! Thanks so much for doing this story on us and the work that Bethan, Emily, Emma, Megan and I have been doing with the Nkoaranga orphanage kids! It would be great if you could include a direct link to The Small Things as well. We also thank you for your generous direct contribution to project MAJI. The next project will be raising money to get all of this year’s children enrolled in high quality boarding schools after they age out of the orphanage – this year it will be Stevie, Ericki and Dainess. We will miss them terribly but they are beautifully taken care of through the work of everyone at The Foundation for Tomorrow. However, we can only do this with help! We are still looking for a partial yearly sponsor for Dainess, as well as helping our year-to-year sponsors to raise the 3 year initial payment to ensure that, should the sponsors be unable to continue, the children will be able to continue to attend school without interruption. So as you can see, Project MAJI is a beginning, not an end!